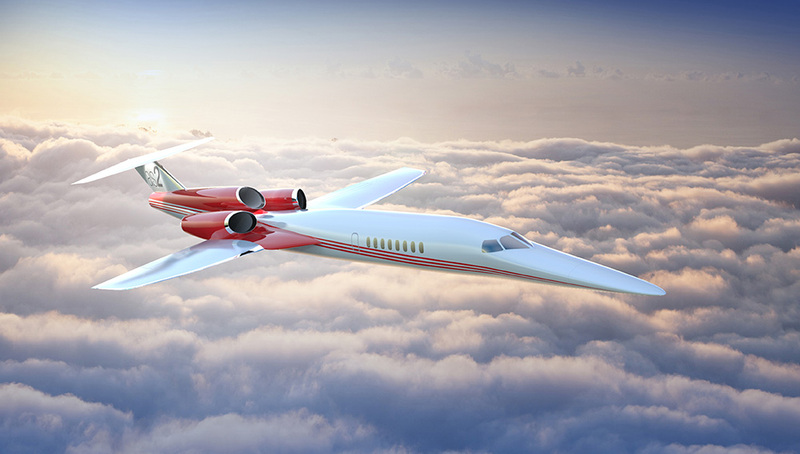 Aerion Corporation, of Reno, Nev., is taking orders now for its supersonic private jet, the Aerion AS2. Last year Airbus Group agreed to lend engineering support to the company, and the aircraft is now in development. 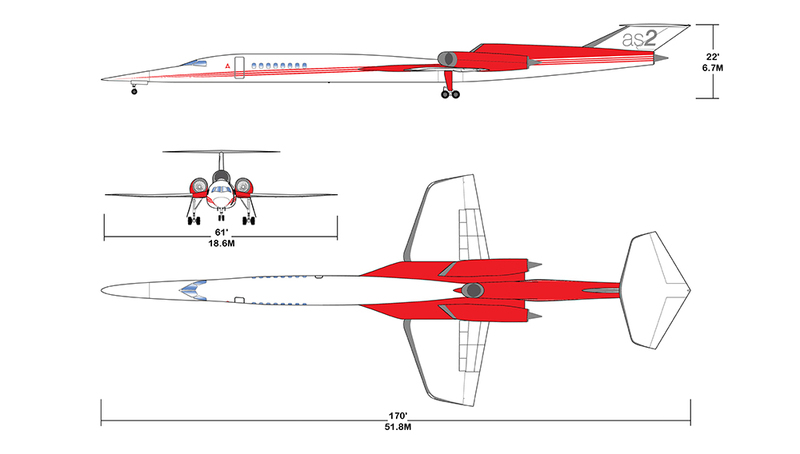 The company says its proprietary laminar-flow technology reduces aerodynamic drag over the wings by up to 80 percent, enabling the three-engine jet to achieve efficient long-range flight. Supersonic speeds can cut flight time by 3 hours between Paris and Washington, D.C., and by 6.5 hours between San Francisco and Singapore, the company says. 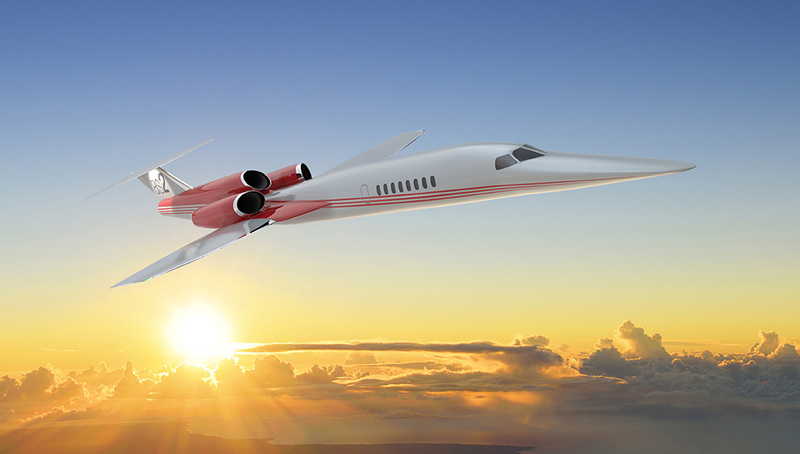 Supersonic flight is currently prohibited above the land areas of the United States and many other countries, due to concerns about sonic booms; however, flight speed above oceans is unrestricted. 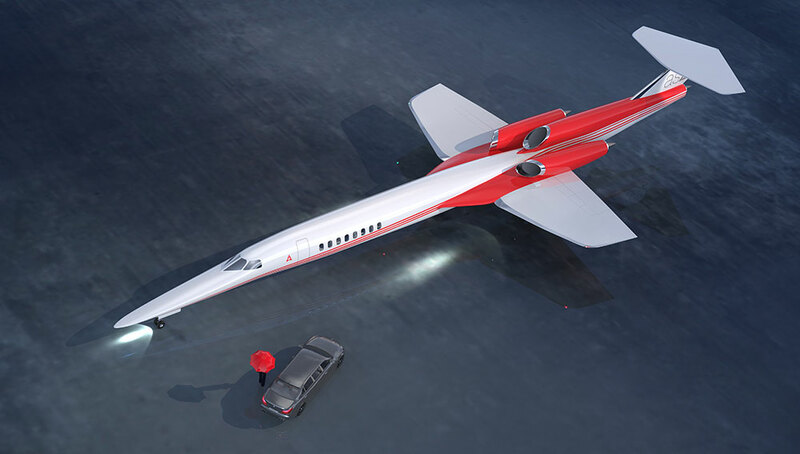 Aerion is working to develop its Boomless Cruise technology that would ensure the shock waves created by supersonic flight would dissipate well above ground level. The AS2 will be built mainly from carbon fiber, with titanium alloy along the leading edge of each wing. 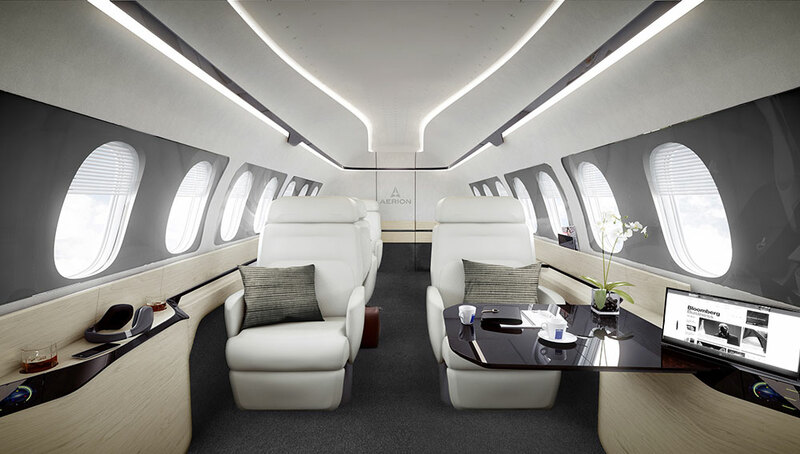 The 30-foot-long cabin will seat up to 11. 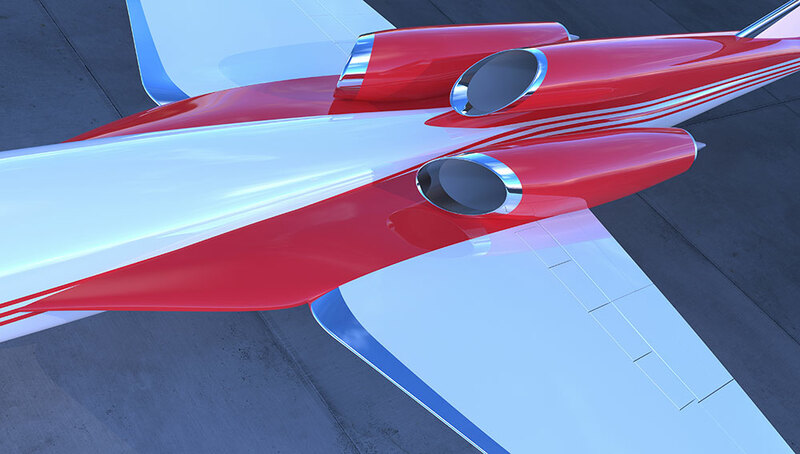 Maximum range is expected to be about 5,400 miles, and top speed is Mach 1.5. The company hopes the first $120 million AS2 will be flying by 2021.